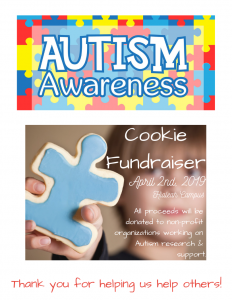 Consider making a donation and get a cookie to support Autism research, awareness and education. All proceeds will be donated to support the cause. Thank you!